The annual “Dinner in the Barn” series hosted by Sierra Valley Farms features guest chefs who prepare a feast using produce so fresh it grew in the field hours before they serve the four-course meal in a 1936-era barn during. 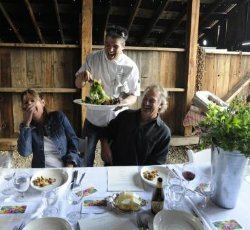 Gary Romano, whose family has owned Sierra Valley Farms for 100 years, will host the dinners throughout the summer. 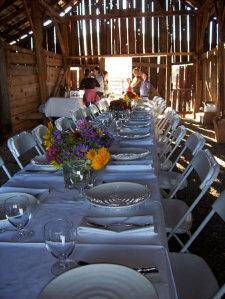 The dinners allow people to make the connection between the food they eat and its origin and enjoy the experience of being on a farm. Diners will gather for a four-course meal served family style at Sierra Valley Farms, a certified organic farm and native plant nursery on the Feather River. Guest chefs will improvise the menu based on which fresh, organic vegetables are ready to be picked or pulled from the ground that day. The selections, which can also be adapted to accommodate vegetarian diners, will be paired accordingly with red and white wines. The atmosphere is as important as the fresh-picked produce. Guests will enjoy the meals while seated inside a barn built in 1936 by Romano’s uncles. Once a hay and calfing barn, where the farmers separated the cows from the calves, the building is now used for winter equipment storage and will be transformed into a rustic dining venue for the event. Through the open back door, diners will have a glimpse of the vegetable crops and a panoramic view of Sierra Valley. Prior to the event, guests can participate in a tour of the farm to observe firsthand where their meal is coming from and to hear the stories behind each of the outbuildings, many of which were kept intact but renovated to retain the charm of the farm. One of the outbuildings is the former grainery where Romano’s uncles used to make oats, wheat and barley. As a child, Romano and the other kids would visit the farm’s dairy, pour sour milk into grains they had gathered from the grainery then feed the pigs. The farm tour begins at 4:30 p.m. and dinner is served at 6 p.m. Each “Dinner in the Barn” event includes a four-course gourmet dinner. Reservations are required. 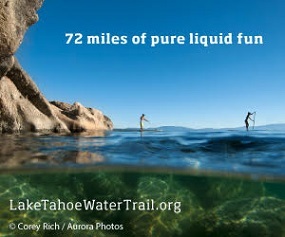 For more info visit www.sierravalleyfarms.com.